The very hungry caterpillar is about a very hungry caterpillar starting at the beginning of his life cycle and was very hungry and never full. The very hungry caterpillar could be used in the classroom to show the life cycle of the caterpillar and what all the caterpillar eats. The teacher could do this by teaching the life cycle and all the different things that the caterpillar eats. 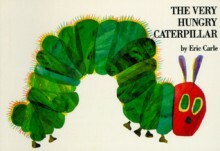 The Very Hungry Caterpillar teaches children about the stages of a butterflies life-cycle. The butterfly starts off as a tiny egg and then goes threw the different stages of it’s life. While the butterfly is a caterpillar it eats and eats and eats! After it has eaten a lot of food the caterpillar builds a house called a chrysalis around itself then emerges as a butterfly! The book it repetitive and predictable. After students catch on to the caterpillar eating more and more each day, they can begin to guess what will happen next in the story. 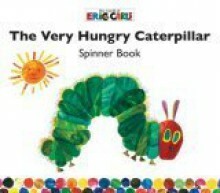 For example the caterpillar starts by just eating one food item then adds on one each day after the first. This book could be used to cover science standards about life-cycles of animals as well as supplement math concepts about the days of the week(if the teacher does calendar with math) as well as counting. An activity for students to do is predict how much food the caterpillar will eat on the next day. The Very Hungry Caterpillar tells the story of a young caterpillar going through the stages of its' life cycle. It engages children in a way that gains and keeps their focus throughout the whole story, because they will always want to know what the caterpillar eats next. As well as explaining the events of a life cycle in kid-friendly language, it also introduces the concepts of counting, days of the week, and sequencing. In my classroom, I would use this book to introduce the life cycle of a caterpillar, which could then lead to the students recreating the life cycle on their own. I also would use this to help students sequence events in a story, by providing cut-outs of the food/days of the week and have students put them in order with their table groups. 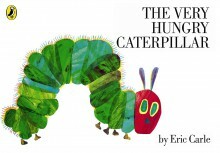 The Very Hungry Caterpillar is a fun story that can be read from Pre-K through 1st grade. It is about a caterpillar who eats a lot of different food items each day, and displays the life cycle of a caterpillar. You can do a sequencing activity with this story, determining what the caterpillar ate each day, or you can do a science activity about the life cycle of a caterpillar. You can give the students a picture of a caterpillar with Monday - Sunday written in each part of the caterpillar's body, and the students can either write or draw what the caterpillar ate each day.